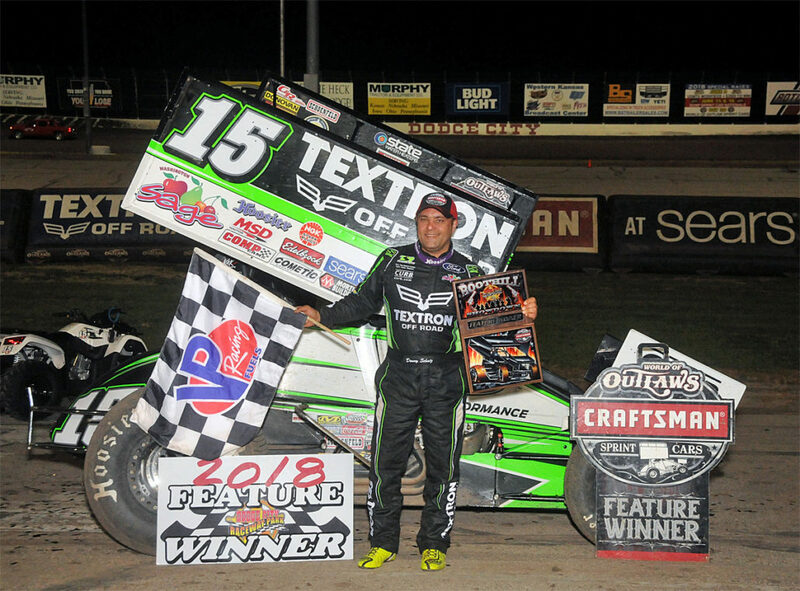 FARGO, N.D. (October 23, 2018) – For the first time since September 5th, Donny Schatz and the Tony Stewart Racing team returned to victory lane on Saturday night at Dodge City Raceway Park in Dodge City, Kan. with the World of Outlaws Craftsman Sprint Car Series. The win for Schatz was his 20th World of Outlaws win of the season, which now marks six consecutive seasons in which he has won at least 20 features – a World of Outlaws record. A second place finish in the Sears Craftsman Dash put the nine-time and defending World of Outlaws champion on the outside of the front row for the 30-lap main event. Schatz rode behind leader, Ian Madsen, in the early going until they reached lapped traffic. On lap eight, Madsen bobbled slightly in turn one which allowed Schatz to get by to lead the lap just before the caution flew. The driver of the Tony Stewart Racing No. 15 withstood a late-race challenge from Madsen to claim his fourth career win at the speedway. The “Greatest Show on Dirt” was also in action Friday night at Lakeside Speedway near Kansas City, Kan. In what was one of the most impressive drives of the night, Schatz charged from the seventh starting position to second in the main event. 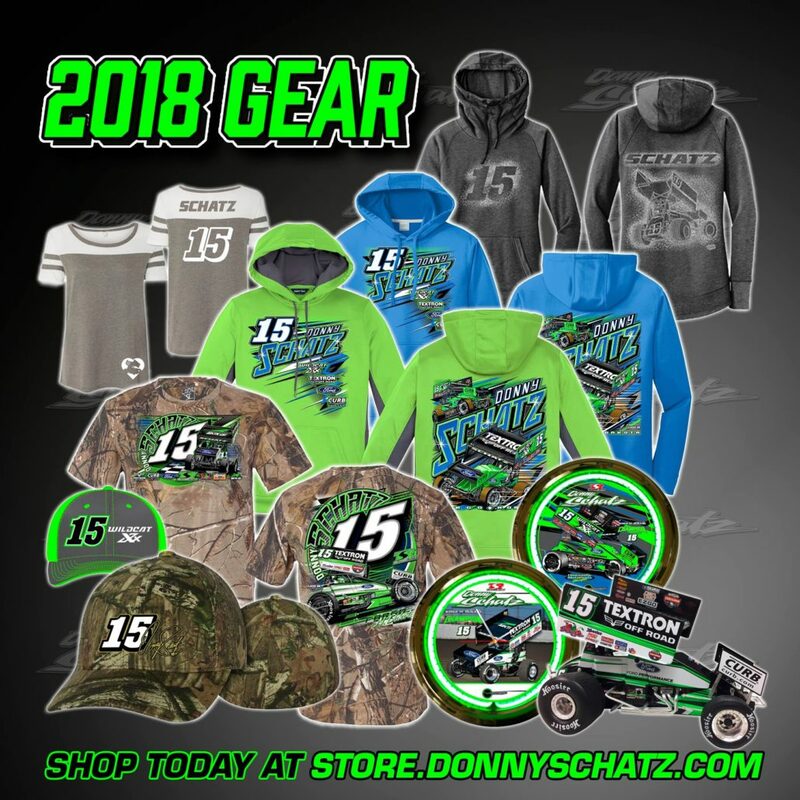 Schatz closed in on Daryn Pittman for the lead in the late stages but ran out of time as the Fargo driver recorded his third consecutive runner-up finish. In his search for his 10th series title, Schatz currently holds a 278 point lead over Brad Sweet atop the standings with four events remaining on the schedule. This weekend, the World of Outlaws will head to Pennsylvania for the final time this season for a doubleheader at Port Royal Speedway, which includes the $51,000-to-win Tuscarora 50 on Saturday night. Schatz has two career victories at Port Royal, including the Outlaws’ most recent visit on October 14, 2017.